If you're planning a rustic style wedding in the Pacific Northwest, these beautiful barn wedding venues in Oregon are worth a closer look. The Beaver State is one of the most beautiful places on the West Coast for couples who love rustic wedding style. 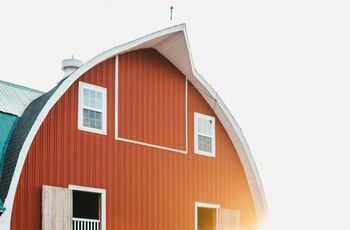 If you need proof, just check out these amazing barn wedding venues in Oregon (plus one just over the border in Washington!). 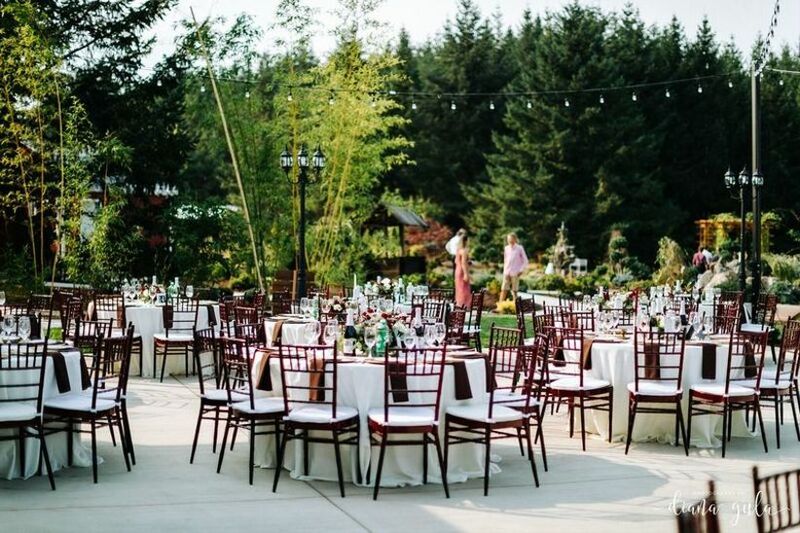 These six venues, which offer scenic views, updated amenities, and customizable wedding packages, get our vote for being some of the best places to host a rustic or countryside wedding in the PNW. 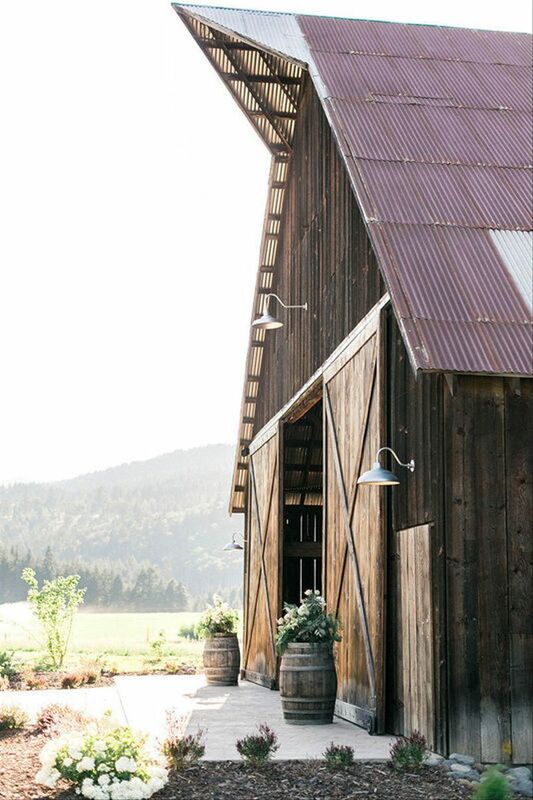 Here are our favorite rustic barn wedding venues in Oregon. 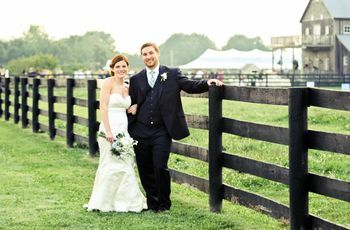 Adeline Farms is one of our top picks for any couple who loves traditional rustic wedding style. 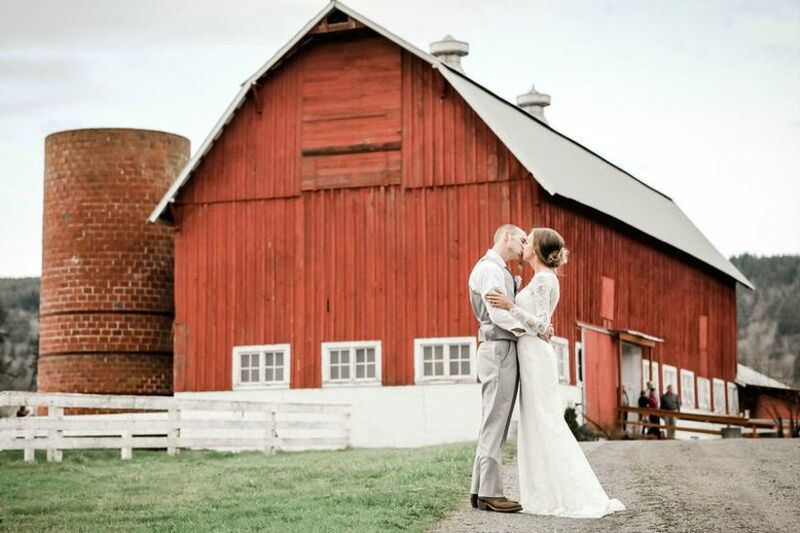 The giant red barn, which is the focal piece of the venue, makes a beautiful backdrop for wedding portraits! The venue has 20 acres of sustainable farmland that is home to some pretty cute residents, including chickens, goats, and pigs. For wedding ceremonies, a gorgeous, 300-year-old oak tree and spacious green lawn provide an idyllic setting. 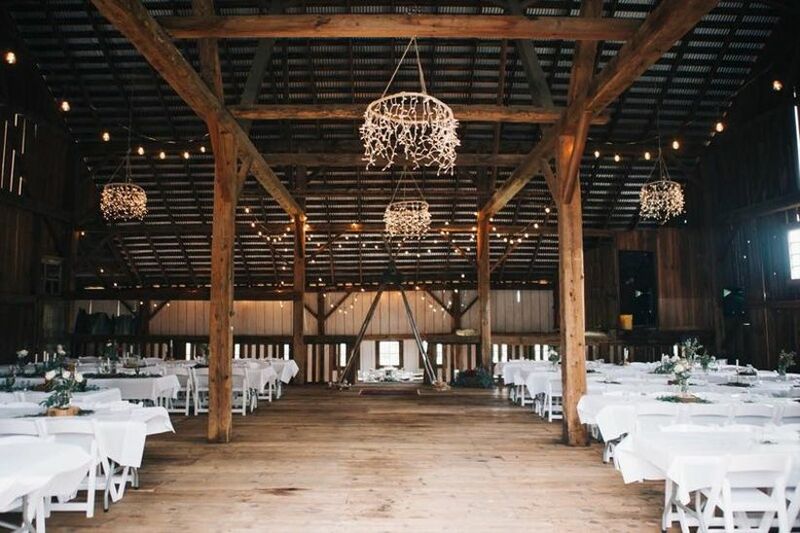 The barn interior features twinkling string lights, tall ceilings, and exposed beams. Adeline Farms will supply tables, chairs, vintage furniture, and an assortment of other items for your wedding day. 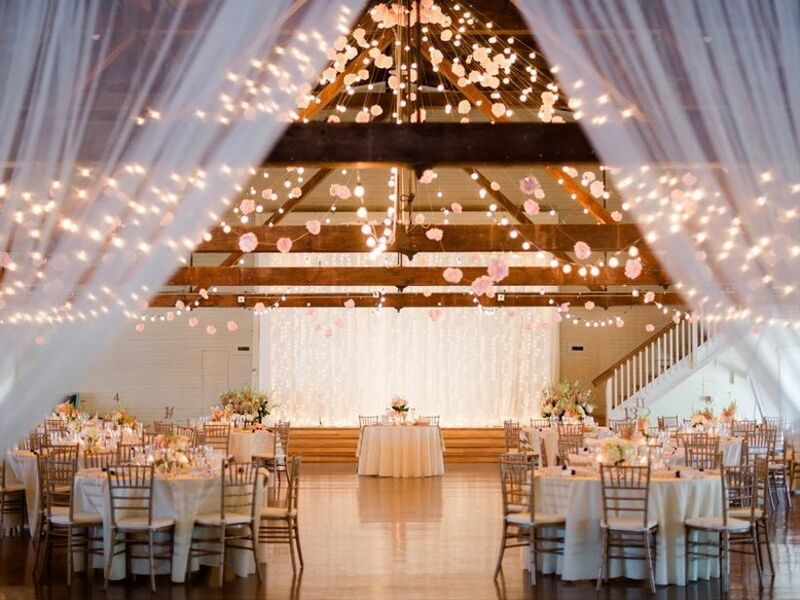 This venue in Oregon City provides a unique barn-meets-European villa aesthetic that’s perfect for couples hosting an elegant rustic wedding. Exchange your vows beneath a wooden pergola during the ceremony before heading to the tree-lined courtyard or indoor event space for your reception. 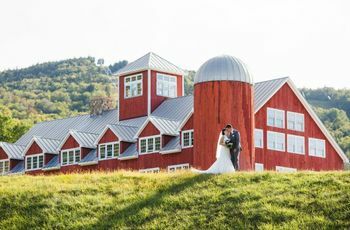 Red Barn Villa can accommodate up to 300 guests and offers wedding packages that include catering, setup/breakdown, various rental items, and six hours of event time. Red Barn Villa is one of the more affordable barn wedding venues in Oregon, with Saturday packages from June through September starting at $3,200. Couples in search of a “home away from home” feel for their wedding day will want to pay a visit to The Inn at Avonlea in Sandy, Oregon. Located less than 30 miles southeast of Portland, The Inn at Avonlea is available year-round and is one of the biggest farm wedding venues in Oregon, with capacity for up to 500 people. 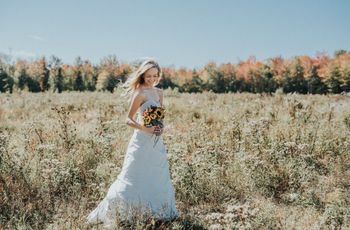 In addition to the ceremony meadow and the 100-year-old event barn (complete with string lights and chandeliers), there is also a charming farmhouse with three guest rooms. 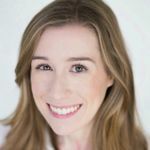 The owners, Julianne and Joel, live on the 56-acre property and will work hard to make your dream wedding a reality! 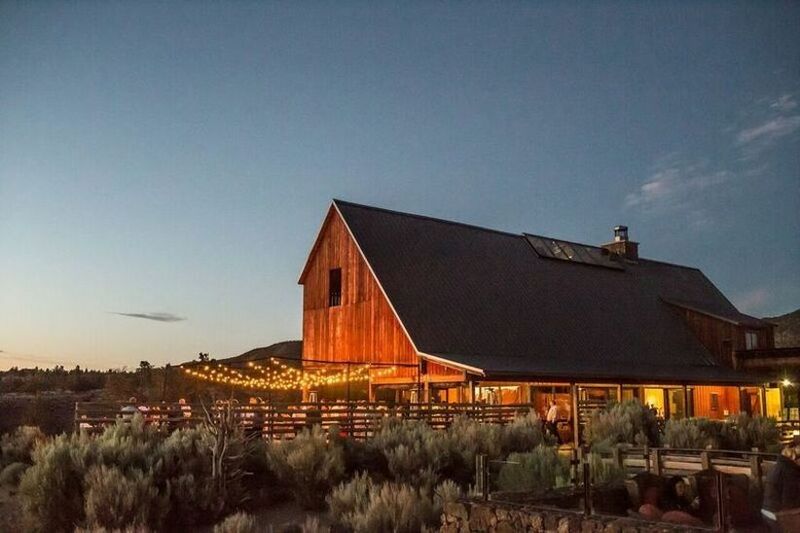 Whether your guest list is large or small, Brasada Ranch is one of the best barn wedding venues in Oregon if you’re dreaming of hosting an extended celebration. This upscale, Western-style ranch has seven different event spaces, including a barn, trestle bridge, scenic butte, and pond. All of your guests can stay on-site in the resort’s accommodations, which range from basic yet cozy guest rooms, to luxury suites and private cabins. With everyone in the same place for the weekend, the party will keep going even after the wedding itself has ended! During downtime, you and your guests can relax at the resort spa, hit the golf course, work out at the athletic center, or go horseback riding. Picturesque gardens and farmland surround this lovely rustic wedding venue in Oregon. Located in Independence, Green Villa is a breezy 12-minute drive from Salem, an hour from Portland, and about two hours from Bend. The property features a charming white barn decorated with a string light canopy, romantic fabric swags, and polished hardwood wood floors. The barn also has a fun historical tie — it was used as a dance hall during Prohibition! Green Villa can host weddings for 350 people and rental fees start around $1,500. 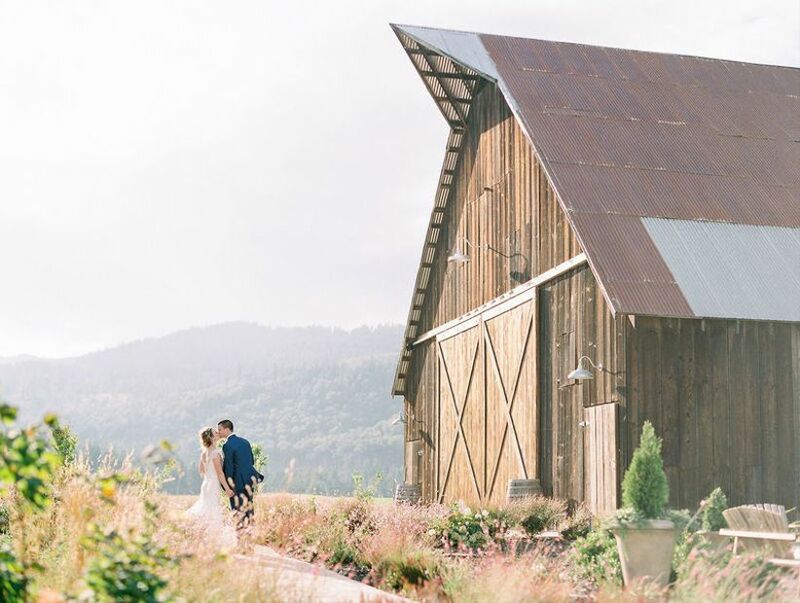 Surrounded by apple orchards and 360-degree views of the Columbia River Gorge, Tin Roof Barn is one of the most scenic barn venues in the PNW. From Portland, you’ll need to make a short one-hour drive over the Washington border to reach this 100-year-old barn, but we promise it’s worth the journey! Tin Roof Barn will feel like your own mountain hideaway on the big day. The barn itself has 3,400 square feet of event space, including a catering room, lounge area, and built-in bar. Right outside the barn is a landscaped area with a fire pit, Adirondack chairs, and multiple gathering spots (perfect for cocktail hour!). A wooden ceremony arbor and a pavilion are just steps away. Tin Roof Barn is available from May to October and can host up to 150 guests.